Welcome to Zoulah's Bewitchen Kitchen where she is baking and cooking up a storm of Halloween treats at her Second Annual Halloween Bash! Zoulah found that the Red Couch Children gobbled these little ham and cheese pops down. Some liked them hot out of the oven, others liked them cold. 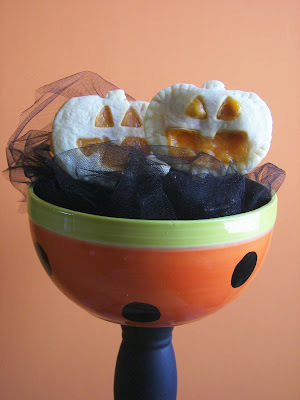 Being the wonderful witch that she is Zoulah will make these again for the lunches of the Red Couch Children. To make it simple, Zoulah used prepared pie crust. She made some as pops and some as hand pies. These litte jack-O-Lanterns are ready for the oven. 1. 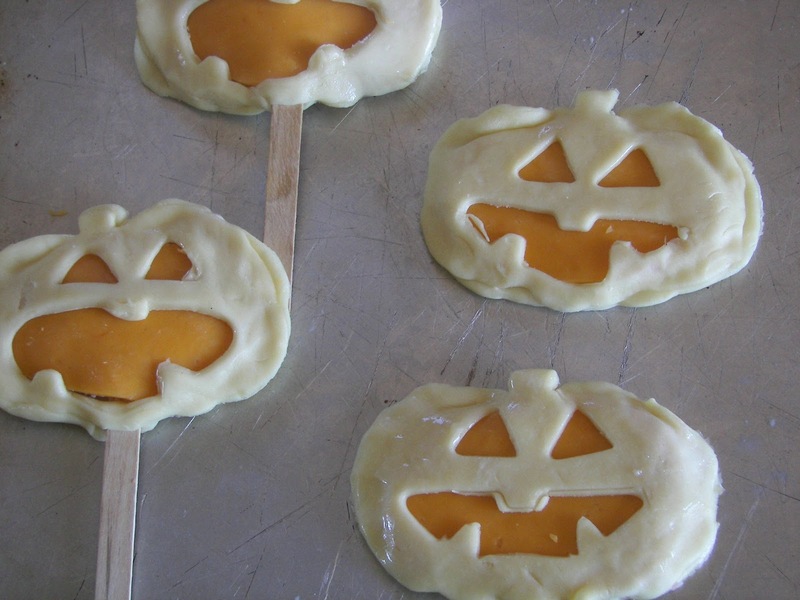 Using a cookie cutter, cut pie crusts into pumpkin shapes -- two for each pie pop. 2. Place ham and then cheese (shaped to the bottom pie crust) on the bottom pie crust. 3. Cut out Jack-O-Lantern face on the top crust and place it on top of the cheese and ham. 4. Insert popsicle stick and press firmly on the bottom of the pie to make sure it sticks. 5. Seal with a bit of water on the edges and if desired use a fork to press the edges together. 6. Brush the top of the Jack-O-Lantern with egg white -- avoiding the sections where there is cheese. 7. Bake in 350 oven for 10 to 12 minutes. Zoulah thanks you from the top of her witchie hat to the bottom of her witchie shoes for dropping by her Bewitchen Kitchen at Red Couch Recipes today. What a clever idea, Joni. My grandkids get so excited when they see treats like this. 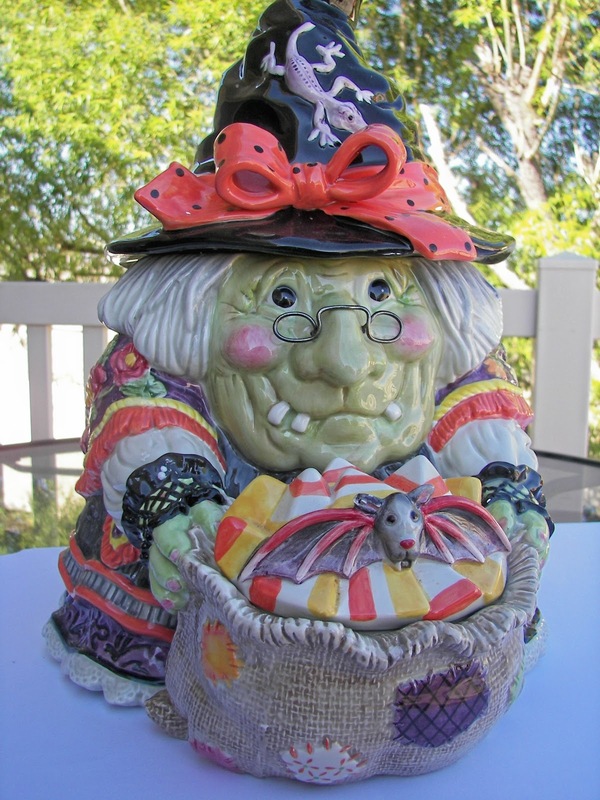 Halloween is one of our favorite days and the preparations are as much fun as the day itself. That is such a cute idea, Joni! My granddaughter is oblivious to the fact that she is a kid and should like this kind of stuff, but I can make them for my husband who will undoubtedly appreciate the fun shapes! Congratulations on your napkin ring win over at Cuisine Kathleen's!!!!!! Happy Monday! Joni, my kids and their friends love hand pies- these are adorable! These are so cute! 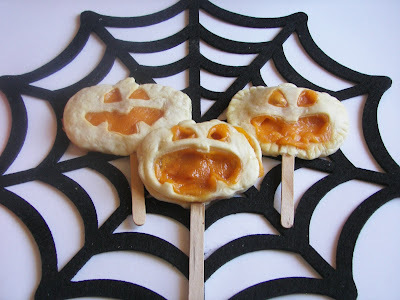 I am going to make and bring these for the preschool Halloween party. I bet they will be a hit with them! Thanks to you and Zoulah for being so clever! I can't wait to see what else she is cooking up in her cauldron! Really cute! They are scaaaaarrrry once they are baked and the cheese is gooey in their mouths. Love them. How cute Joni! I am anxiously awaiting Zoulah's Halloween Bash! Love to come over and visit especially for Halloween! These are so cute! I will most def make these for my boys! I love these and I know that my teenagers would as well. Who wouldn't love lunch on a stick? You come up with the best projects! These are really clever and they might just get my grands to eat something that wasn't sweet! It is so nice to see Zoulah and Beaulah back in Blogland! I think these are really ingenious! Oh, how I wish I had little ones around to delight. Maybe I should just try to delight my big ones. How fun festive and just darn cute! Thanks for sharing. Oh my gosh! These are fantastic! 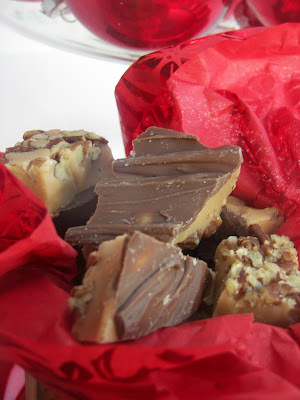 I can't wait to make some for my family! 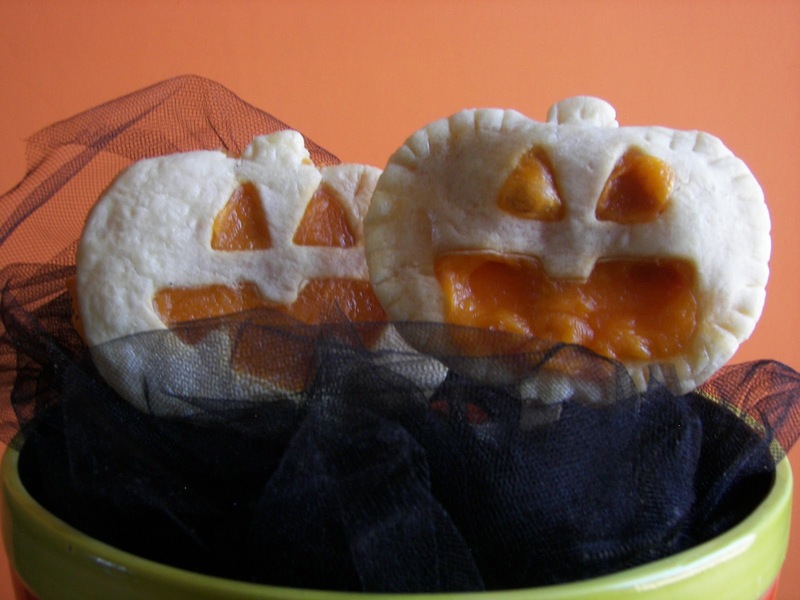 I would love for you to link these little pies to my Everything Halloween party starting this Sunday! Thanks so much! Have a great Thursday! What an adorable idea! LOVE them, Joni! Just stopping by from TT&J Weekend Wrap Up. I am the post one after yours. 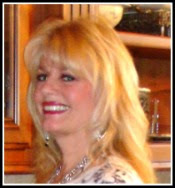 Would love for you to check my blog out too.